Motorola’s Touchless Control app, which is one of the leading features of the Moto X and new DROID line, was pushed to Google Play today. For those not familiar, Touchless Control allows each of these new Moto phones to partner with their natural language processors, so that they are always listening for your commands. 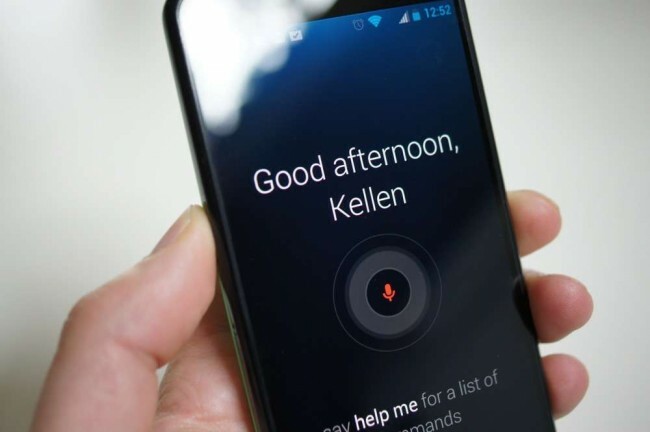 After training them to only activate to your voice with a command of “OK, Google Now,” you can perform all sorts of Google voice actions from setting reminders to finding directions home. We’ve put together an entire tutorial of Touchless Control that you can find here. With its release to Google Play, we can only expect this to mean that Motorola has additional feature plans for it in the future. Rather than leaving it as a baked-in system app that can only be updated with system updates, this should allow Motorola to update it regularly. In fact, both our Moto X and DROID ULTRA devices received the newest build of 3.06.1.0. We’re only seeing one noticeable difference so far, and that’s the addition of a “User speakerphone” option for when placing calls using Touchless Control. As you would expect, the app is only installable on the ULTRA, MAXX, Mini, and Moto X.
Update: Here is the .apk file if anyone feels like playing with it.